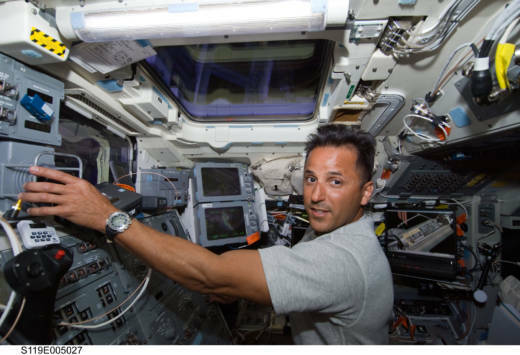 Acaba, who has logged more than 300 days in space on three separate flights, said space travel for private citizens is closer than many think. The ultimate goal, he said, is to get humans on Mars. But the path to Mars goes through the moon first. The goal is to get to Mars in the 2030 time-frame and to the moon before that, he said. Acaba took off on Expedition 53/54 with a crew of Russian colleagues on Sept. 13, 2017. While Acaba was working quite closely in space with his Russian colleagues, tensions between Russia and the U.S. have heated up back on earth over allegations the Russians tried to manipulate the U.S. elections. During the mission, which lasted nearly six months, Acaba and the crew conducted a number of scientific experiments. The research focused on such projects as the manufacturing of fiber optic filaments in microgravity, improving the accuracy of an implantable glucoses biosensor and measuring the Sun’s energy input to Earth. Acaba completed one spacewalk on the mission, to lubricate an end effector and install new cameras on the station’s arm and truss.